In the 19th century, Hungary turned 1,000 years old. 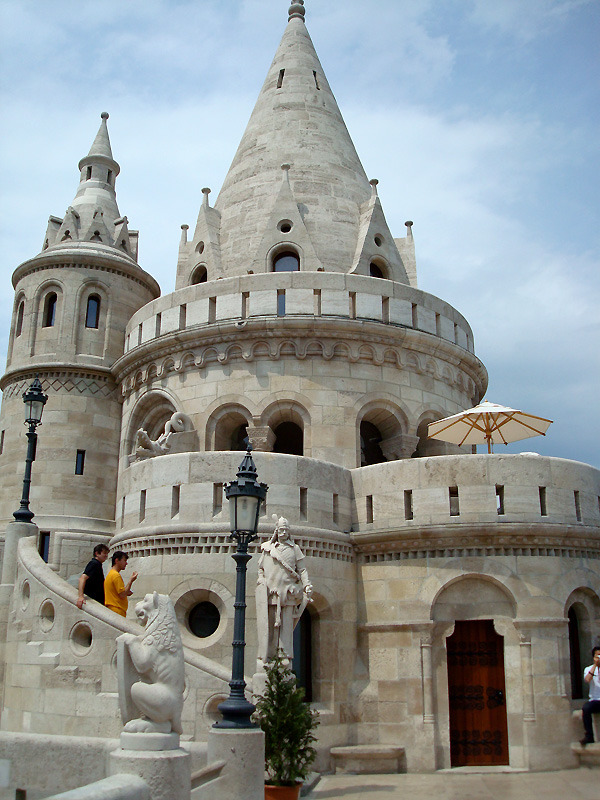 To mark this milestone, the Fisherman’s Bastion was raised: a mock castle with exceptional views of Budapest. 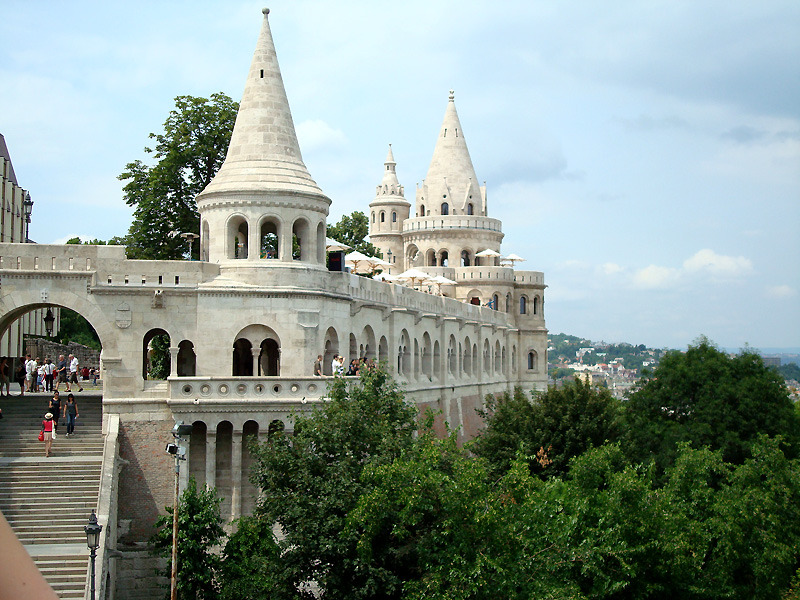 Found near Buda Castle, the Fisherman’s Bastion is one of the best viewing spots on the Buda side of the Danube. More than that, though, it’s a beautiful piece of architecture, with turrets and towers often compared to the Cinderella Castle at Disney World. A romantic atmosphere combines with talented buskers and artists, vying for your spare change. Walking round the site and enjoying the panoramas are free, but you’ll need to pay to get up the tower. Built in the style of a medieval castle, the Bastion has seven turrets, representing the seven tribes who united to found Hungary in 895 AD. Its name comes from the fisherman’s guild, who protected Buda’s city walls on this bank during the Middle Ages. 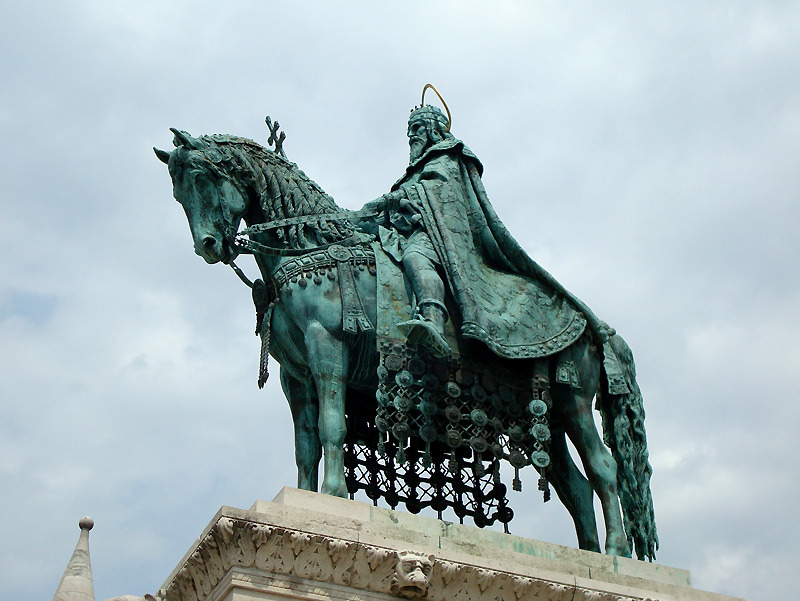 You’ll find a bronze statue here of Stephen I, a medieval king of Hungary. This was sculpted by Alajos Stróbl, one of Hungary’s leading monument artists, who interestingly was also behind the Matthias Fountain, outside Buda Castle. With so many of Budapest’s other hotspots nearby, a visit to the Fisherman’s Bastion is super convenient. You can visit as part of a Buda Castle tour, of which there are many, or sample it from below on a Danube river cruise.